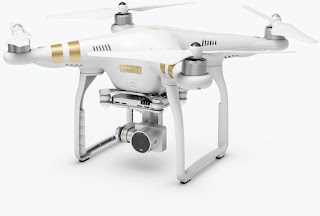 As most of my regular readers know, I love drones. I've been flying since the DIY days and some of my best relaxing moments have come as my quadracopter zips around overhead. However, drones can be more than just high priced toys... much more. Lots of companies are investigating where drones might fit into their business plans. Amazon, UPS, and even Domino's Pizza are looking at adding drones to their delivery services in order to get their shipments to customers faster and easier. Unmanned aerial vehicles are a curiosity for most Americans, but in some remote parts of the world, drones are already having an impact on healthcare. In October, drone startup Zipline, in partnership with UPS and Gavi, began delivering blood supplies to transfusion facilities in western Rwanda where barriers to land transportation can prevent blood supplies from reaching critically ill or injured patients in time to save a life. Each drone, or Zip, can carry 1.5 kg of blood and fly up to 150 km round trip, dropping down low to air drop the package at a designated spot, before returning to the Nest at Zipline’s distribution center within the Central African nation. The whole trip takes about 30 minutes. To date, Zipline has made close to 100 flights in Rwanda as it works to bring the first two of 21 clinics online. “Some of those have been test flights to map out the routes to hospitals. A smaller number of those flights have been deliveries to clinics,” the company said. The plan is to stand up five delivery sites to start and then expand one by one to serve the remaining clinics. At that point, Zipline expects to be making between 50 and 150 flights a day. The company plans to expand the drone delivery service to the eastern half of Rwanda in early 2017, and, from there, to other countries in Africa and around the world, including the sites U.S. Federal aviation regulators have cleared Zipline to deliver blood — Smith Island, MD, and the San Juan Islands of Washington, and Nevada. Zipline also plans to move beyond blood to deliver medications and vaccines for HIV/AIDS, malaria, tuberculosis and other life-threatening diseases. Since the company partners with governments, there’s no worry about reimbursement. “We’re able to make medical deliveries for about the same cost as current modes of transportation — like motorcycles and cars — just faster and more efficiently,” Zipline representatives said. “And the economic benefits of a healthier population are immeasurable." If you would like to read the full article that features other tech pieces coming to the healthcare sector, follow this link. There currently is a serious phishing scam that is attempting to take over the G-mail accounts of those that fall prey to it. One of the great things about online webmail services is that they can help protect users from viruses and other problems. However, phishing attacks are different in that they send an email attachment which the users opens. That act triggers the attack. It uses a combination of hacking and social engineering where the affected user actually helps the hacker. PCmag.com has a great explanation of the problem and how to avoid it. Rather than type in the full explanation, I’ll let you follow the link over to their article and not reinvent the wheel here. The takeaway is “be vigilant”! Never let your guard down because that’s what the bad guys are counting on. I’ve been a drone pilot for the past several years. In fact, I’ve been flying these things long enough to be able to say I was part of the hobby when a lot of it was DIY. One of the things that has always amazed me about these devices is the amount of air they throw off. My first drone was a hexacopter (6 blades) and the first time it took off, it left a mini crop circle in the grass of the launch area. I’m now flying a DJI Quadcopter and even though it has 2 fewer rotors, it still throws of an amazing amount of air. Up until now, the only way you could get an appreciation for this was to get sort of close to the copter which really isn’t the safest thing to do. Now, thanks to NASA we can SEE exactly what is going on. The bright minds at NASA’s Ames Research Center did a computer simulation of airflow coming from a DJI Phantom 3 quadcopter. It shows graphically how the air interacts and moves on the props and the body of the drone. Airflow interactions are shown an undulating lines. Pressure changes are shown using color. Areas of high pressure are red; low are blue. As a diehard geek, this is one of the coolest things I’ve seen lately. If you’d like to see the webpage featuring this, here is the link. Backing up your data is easy to do — but not doing it could mean the end of your practice. When you live in a digital world, you become dependent on your technology. Think about it. Probably 10 or maybe 15 years ago having a mobile phone was a luxury or perhaps a hassle, but either way it wasn’t that important. Nowadays you get a mile or so away from home and realize you left your phone on the kitchen table and you will turn around to go back and get it. That’s not a bad thing. At one time the “horseless carriage” was considered new technology and now we can’t get along without it. Of course the thing that is difficult about technology is suddenly not having it. Just like turning around to go get your phone, we’ve all become so dependent on technology that when we don’t have access to it, things tend to grind to a halt. Trust me on this one, if you are truly dependent on technology, you’ll do anything you can to avoid being without it. That’s why this month’s Technology Evangelist column will focus on backing up your data and making sure it is safe… just in case of a disaster. For the rest of my article, here is the link to the DPR website. I *love* what I do for a career. There are days when I’m walking into my office in Lee’s Summit, Missouri that I feel I need to pinch myself. I fell in love with the idea of being a dentist at the ripe old age of 3 and consider myself incredibly lucky to have never wondered what I wanted to do when I grew up. Now it seems that a survey by US News & World Report feels the same way I do. The job of “dentist” is listed as the #1 job in America. Becoming a dentist involves a marathon of training and testing. Ideally, the pathway starts as early as high school, when you focus on Advanced Placement courses in chemistry, physics, biology and mathematics. As an undergrad, aspiring dentists will need to take a host of pre-med courses in mathematics, chemistry and biology, particularly because most dentists take the Dental Admission Test (DAT) by their junior year. Getting into dental school is competitive, and scoring well on the acceptance test is only one of the hurdles. Aspiring dentists will also need to acquire top marks in undergrad and glowing letters of recommendation to get into dental school. Dental school itself is a rigorous mix of practical and technical training, and the time spent in a program is determined by specialty. The residency program is usually one to two years. To practice, dentists will need to obtain a state-specific license. And while practicing, each state will require dentists to keep up with changes in ethics, technology and more by taking continuing dental education courses. If you would like to read the entire article, it can be found here. This is a very neat story about helping animals that truly require our help. As a profession, we frequently have the opportunity to help people, but there are frequently limits to what we can do to help animals. Considering that we share 98% of our DNA with chimpanzees it’s nice to see DentalEZ® doing a project like this to benefit them. Read on for the details of how DentalEZ® is helping the Project Chimps Organization. Malvern, PA (January 10, 2017) – For its latest philanthropic endeavor, DentalEZ®, a supplier of integrated products and services for dental health professionals worldwide, recently donated a full shipment of dental supplies and equipment to Project Chimps, a rescue organization dedicated to the lifetime sanctuary care of hundreds of captive chimpanzees. Specifically, the Company donated various dental products, and operatory and utility room equipment to Project Chimps’ new northern Georgia sanctuary including NevinLabs™ steel cabinets, DentalEZ® delivery units and operatory lights, StarDental® handpieces, and RAMVAC vacuums and compressors. Because of the Company’s generous donation, the new dental facility will now have all components needed for complete and optimal dental care of the rescued animals. A recent transfer carried out by Project Chimps prompted the charitable donation by DentalEZ, as well as widespread national attention. Nine chimpanzees once used as research animals at the New Iberia Research Center in Louisiana were just relocated to the new Project Chimps refuge, hundreds of miles from their former home in a lab where they were used as subjects in biomedical testing. Workers with the non-profit organization transported all nine animals and now Project Chimps sanctuary, located in Morganton, Georgia, is their new home, a sprawling preserve where over 200 chimps will eventually roam free. The 236-acre sanctuary is located along a temperate rainforest, with rolling hills and a lush, green landscape. In addition to office buildings, a full veterinary clinic, and an upscale kitchen designed by celebrity chef Rachael Ray, there are currently four "villas" that can house 10-15 chimps each, and one larger group building that can house two groups of 10-15 chimps. In 2015, all chimpanzees were designated an endangered species, marking the end of privately funded research on chimpanzees in the US. Chimps are considered the smartest primate and the closest relatives to humans, which is why the New Iberia Research Center in Louisiana has used 220 of them for medical testing. The opening of the new Project Chimps sanctuary follows a steady shift away from controversial biomedical research on chimpanzees across the country. The National Institutes of Health (NIH) began significantly phasing out its funding of federal research on chimps in 2013, and announced the retirement of its 50 remaining chimpanzees in November 2015. NIH also ended its research support for chimps but did not own approximately 360 remaining around the US. Now the private institutions that own them, like the New Iberia Research Center, are following suit. However, due to limited space at existing sanctuaries such as Chimp Haven in Louisiana and Save the Chimps in Florida, the creation of new refuges like Project Chimps is crucial. For more information about Project Chimps, please visit www.projectchimps.org. For more information about the DentalEZ company and its complete offerings of dental product and equipment solutions, please visit www.dentalez.com. Project Chimps was founded in late 2014 by a “super group” of chimpanzee, nonprofit, philanthropic, and legal experts to solve the critical question of what would happen to the hundreds of chimps still left in private biomedical research. Primatologists and professionals from all over the country left their current roles and signed on to work for Project Chimps, a nonprofit organization that is making unprecedented advances for captive chimpanzees. Through relationship-building, collaboration, and tenacity, Project Chimps was able to come to an agreement with the University of Louisiana’s New Iberia Research Center. They agreed to let Project Chimps have all of their remaining chimpanzees and provide them with lifetime sanctuary care. This decision is unprecedented and shows what positive collaboration can do for the betterment of others, in this case: chimpanzees. For more information, please visit www.projectchimps.org. At the beginning of next week, Norway will begin to shut down the FM (Frequency Modulation) radio network. The country will transition to an all digital satellite network over the same time that FM is being shelved. There were a couple of reasons for this. Geography: Norway is a country of mountains and fiords. Getting standard radio waves into incredibly high and incredibly low places can be done, but it is expensive. Digital broadcasting or DAB as it is called, will be much more cost efficient. Cost: Government estimates show a savings of over $23.5 million per year which radio companies can use to create new and better programs to broadcast. Also the FM network is aging and would require a significant capital investment to keep it going . However it’s not all flowers and candy. Norway is a country of 5 million people and about 2 million cars there don’t have a way to receive digital signals. However adapters can be purchased and as older vehicles are retired they will be replaced with new ones that can receive digital signals. Personally I find this interesting news. Change is one of the things we are guaranteed. I’ve had satellite radio for a few years now and would never go back. However, could FM be shut down in the US? Norway’s effort will be followed with interest, I’m sure. Now that the New Year is upon us, it’s time to do some planning. Actually I would hope that you did this planning in December, but hey, it’s never to late to get things in order. CEREC was invented in the late 1980s (how they ever managed to pull that off with the technology at the time still amazes me). The product category made baby steps of progress until the late 1990s and early 2000s when the combination of an incredible drop in computer prices and a tremendous growth of processing power coupled to drive innovation. Soon the E4D unit came along, followed by several companies with digital impression systems. Today, more than 20 percent of offices are using some type of digital acquisition technology and the number continues to grow. This is no longer a “should I buy,” but is now a “when I buy” tech. The complete article is available to read on the DPR website and includes a couple of video chats I did regarding some of the topics mentioned in the article. A couple of weeks ago I posted about how the EPA would soon be requiring Amalgam separators. Now comes info from Kerr and DRNA (the company I use) about helping dentists to have the necessary equipment to be in compliance. Read on for the details. Broader commitment to environmental responsibility underscored by dual focus on equipment and education for the dental community. January 2, 2017 – Understanding that any successful transition requires the right equipment and the necessary education, Kerr is partnering with Dental Recycling of North America, Inc. (DRNA) to support dental practices through information, training, documentation and equipment. How to develop and implement compliance policies. For a limited time only, DRNA will be offering Kerr customer base a free recycling unit with the purchase of a year-long service agreement. The success of this effort also requires reporting, and to that end, DRNA has agreed to offer Kerr customers help with all of the documentation they are now required to provide to the government — a major benefit to busy dentists who care about compliance with the new guidelines. For more information, visit www.kerrdental.com or call 877-685-1484. Visit us at www.kerrdental.com or call 800-KERR123. DRNA is the North American leader in dental waste management and recycling. Whether amalgam waste, x-ray chemistry, lead, bio-hazardous or pharmaceutical waste, DRNA provides essential and affordable solutions for every dental office. DRNA is the number one compliance partner providing equipment, recycling, long-term documentation and education. For more information on DRNA please visit www.drna.com. I love podcasts. I have since they were invented all those years ago, but I’ve really gotten into them on the recommendation of my partner Dr. John Huebner. He has eclectic tastes like mine and has recommended several podcasts that I wouldn’t have thought of before. Of course, the joy of podcasts is they update on your phone automatically and you can play them anywhere your phone goes. My personal preference is to listen on my office commute. I happen to have a 2009 Tahoe that I dearly love, but the one thing it lacks is audio Bluetooth capability. It has Bluetooth for phone calls, but I cannot play any type of audio in the vehicle over Bluetooth. To have audio, it requires me to connect a cable from the headphone jack on my iPhone to the Audio input jack on the dashboard. This setup works just fine, but it does require me to have a cable handy and to connect it before I can listen to anything. A few months ago I had the Tahoe in the shop for a few days for some repairs and the dealership loaned me a 2017 Silverado. There has been a significant amount of tech added to vehicles since my Tahoe rolled off the line and one of those features was Bluetooth audio. I got really spoiled by stating the truck and having my iPhone automatically connect and begin playing. It may seem like a little thing, but I loved not having to deal with the cord. All of the above was pushing me to find a solution, but over the Christmas break, my audio cable began suffer an internal break of a wire which was causing me to have to “jiggle” the cord & get it in just the right position to provide sound. Finally I had had enough. In my research for a solution, I also discovered that Aluratek has a variety of products which looks pretty impressive. Check out the Aluratek website here. For decades now, on the edge scientists and science fiction writers have envisioned a future where body parts are replaced by being regrown and then attached. Imagine that instead of Luke Skywalker’s mechanical hand he could actually have a real human hand instead. The possibilities for helping those injured catastrophically injured warms my heart and gets my thoughts soaring just thinking about it. One of the biggest hurdles to cross in this science has been rejection of the new tissue by the recipient. Animals don’t like mixing their body parts as they are frequently identified by the recipient as something foreign and the immune system sets in to reject the tissue, organ, etc. Now comes word from a company named Spiderwort that could change all of that. The company had the brilliant idea of using plant material instead of animal material as a lattice to grow tissue. Utilizing a CO2 incubator, the company is hoping to let anyone with the knowledge create their own body parts. Recently the news has been abuzz with the discussion of President-Elect Donald Trump berating Boeing about the 4 billion dollar price tag for 2 new jets to serve as Air Force One. A small bit of trivia here: Air Force One is the call sign of the plane ONLY when the president is on board. That’s why there can be 2 of them that can serve with that designation. Anyway, Wired Magazine (one of my geek/tech favorites) has an article on what the original planes looked like complete with a visual tour. If you’d like to actually see one of them for yourself, there is one on display at Seattle’s Museum of Flight. The article on Wired.com is pretty interesting as is the video. Give it a look! Exposure to chemicals in e-cigarettes could trigger severe gum disease – and even increase the risk of mouth cancer, scientists have warned. New studies have highlighted concerns over potential damage to cells in the gums from vapour released by the devices. Tests showed substances used to flavour e-cigarettes cause inflammation and damage tissue that helps hold teeth in place. Experts at the University of California Los Angeles found e-cigarettes contained toxic substances and nanoparticles that could kill the top layer of cells in the mouth and gums. They warned the changes noticed in tests could increase the risk of mouth cancer if the same thing happened in e-cigarette users. Since then, a team at Université Laval in Canada has found gum tissue cells appear to mutate when they come into contact with e-cigarette vapour. Another study, at the University of Rochester in New York, found flavourings in e-cigarettes triggered inflammation and DNA damage and that ‘vaping’ – the name giving to using e-cigarettes – damaged tissue joining the teeth to the jawbone. Nearly three million people in Britain use e-cigarettes. Public Health England insists they are 95 per cent safer than tobacco.